It is Ekka week (Brisbane Exhibition) and I am craving the famous Ekka Strawberry Sundae. 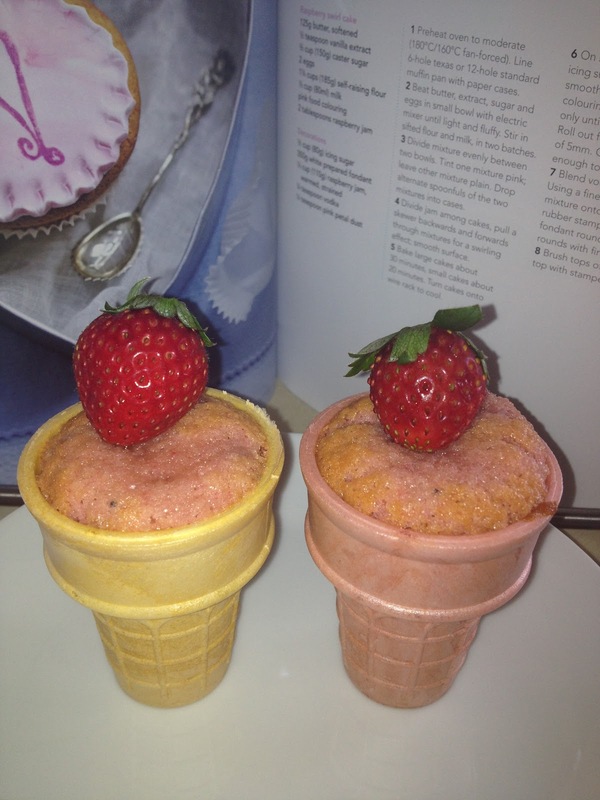 I heard on 96.5fm earlier this week that Ness made strawberry icecream cupcakes. That inspired me to try it out at home. 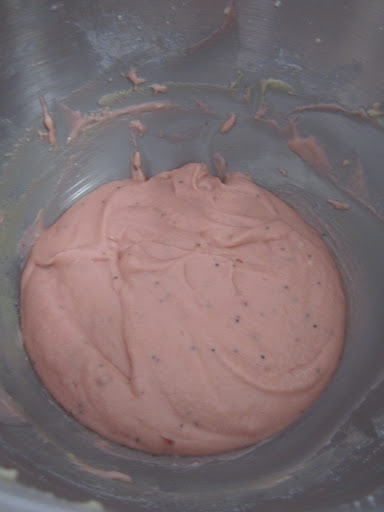 I adapted the recipe from Woman’s Weekly Raspberry Swirl Cake. 6. 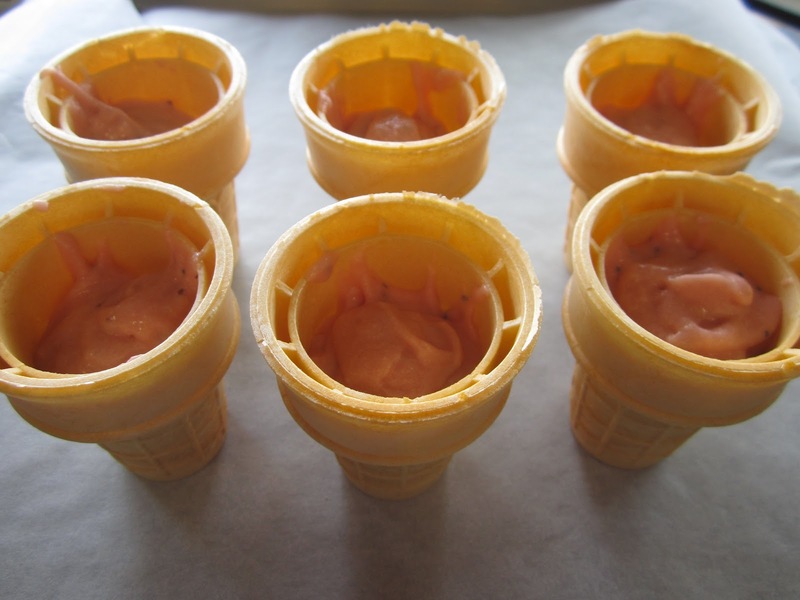 Pour the batter to the icecream cone to 2/3 full. I noticed that it will overflow if you pour it too full. The batter on the front right was too full and overflowed. 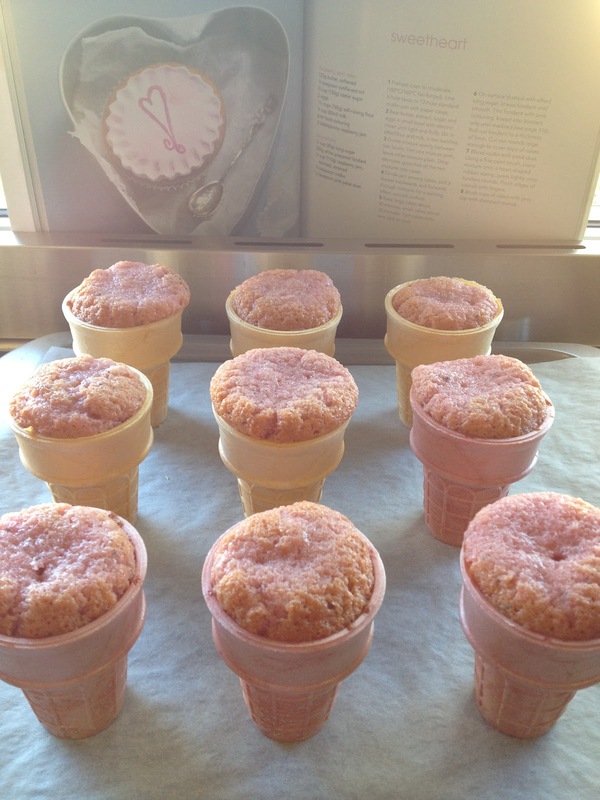 I was initially sceptical about using an icecream cone to hold the batter, but it turned out very well. I was going to cover the top with white chocolate ganache or buttercream, but didn’t have the ingredients to do so. So, my healthier option is to top it with a strawberry. Enjoy!